DevOps is fast assuming greater importance in deciding the agility of an enterprise. A robust DevOps setup is crucial for successful agile delivery and minimal risks. It greatly optimizes release management costs and team productivity, resulting in reduced time to market. At the same time, DevOps enables organizations to make rapid product releases with increased quality and manage customers' expectations. 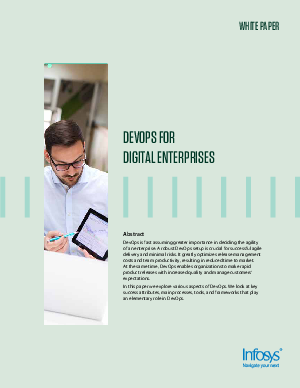 In this paper we explore various aspects of DevOps. We look at key success attributes, main processes, tools, and frameworks that play an elementary role in DevOps.